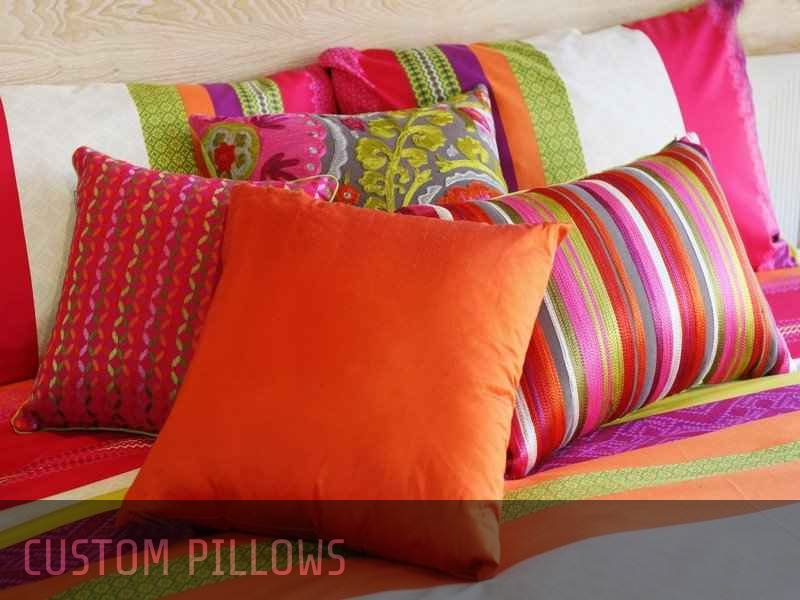 You can easily add instant interest, an elegant touch or a burst of colour to your living space using custom pillows. One, two or more pillows added to other patterned pillows can make a notable impact. The beauty of using personalised pillows is that you can use an image of your choice, e.g., a family photo, your significant other or pet. The text looks at ways you can use personalised pillows to add some oomph to your environment. The best way to do this is to choose a colour that resonates with the other decorative pillows while bringing all the other patterns, shapes and styles together. You can place the pillows on sofas, chairs or on the floor to create a welcoming lounge area. Try different pillow ideas in the same room. If you want to create a monochromatic look, consider using solid-coloured personalised pillows. They may have a personalised text warm up the plainness. Use a brightly-coloured textured pillow or layer patterned pillows with solid colours for additional flair. A low-backed upholstered sofa looks great when paired with rectangular pillows. If you want to overstuff a section with personalised pillows, use the biggest-sized pillows to create a focal point on your living space while adding comfort. You can also create sections of interesting pillow patterns on your space by arranging patterned pillows in one part of the room and solid-coloured ones together. If the pillows have different colours, the shared pattern ties them together. You can use different sizes of decorative pillows on the sofa and chairs to make the space more interesting. Layer large and small pillows on the couch to add a twist and create a sense of abundance and comfort..